Tucson’s million dollar home sales August 2018 continue to show strong gains. After 5 plus years of weak sales, million dollar home sales are improving. Albeit not at prices seen in 2006/2007. Tucson is benefiting as buyers from California and the Northeast recognize the value. Sell a multi-million dollar home in San Francisco, Los Angels, Boston or New York. 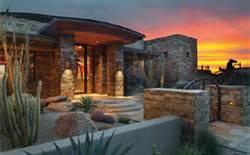 Buy a Tucson luxury home and there will be money left over to enjoy everything Tucson, Arizona has to offer. That makes sense to a lot of people. A case in point. In November 2015, a 1,000 SF. fixer upper in La Jolla, California sold for a bit under $1 million. Yes, the Pacific could was on the horizon from the second story bedroom. Small lot, small home, BIG price! Now let’s not kid ourselves, while the sales of million dollar homes in Tucson is improving, buyers are still in control of this market segment. Most million- dollar homes are selling below the list price. Some significantly! And prices have not recovered from the peak in 2007. The North area of Tucson is known as the Catalina Foothills. Why? Well, the area sits in the foothills of the Santa Catalina mountains just north of the City of Tucson. A million dollars in the North will buy you a home with a large lot, great city lights views and the Tucson mountains as a backdrop. But our Million dollar home Sales August 2018 update will get you up to speed – FAST! Our Million Dollar Home Sales August 2018 report will give you insights to the Green Valley real estate market.